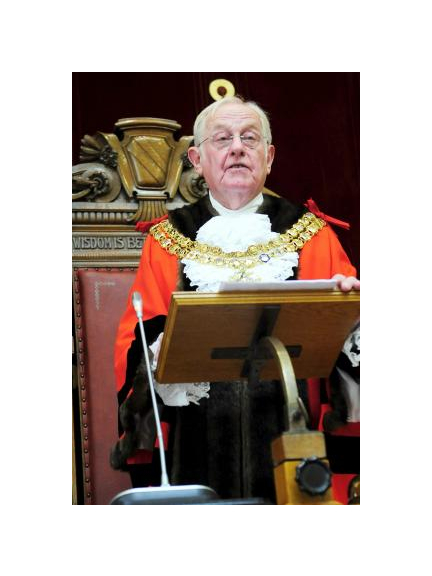 Who is the mayor of Bolton in 2013? We now have two new mayors in Bolton. Colin Shaw has been named as Bolton’s new mayor and Christopher Peacock is now mayor of Westhoughton. Colin Shaw, aged 74, was presented his chains of office by the outgoing mayor Cllr Harkin at a ceremony in the town hall late last month. Cllr Shaw is the representative from Lostock and Heaton. He has served on the council for over 18 years and has lived in Bolton all his life. He worked for his family’s building firm at the start of his working life in Farnworth, before becoming a chauffeur. Cllr Shaw has also worked as a special constable, been a member of the Territorial Army and even had walk on acting roles on television. Cllr Shaw is the first Conservative mayor in 4 years. He will be accompanied in his new role by wife Dee. He promised to be an enthusiastic ambassador for Bolton and encourage people to invest time and money in Bolton. Cllr Shaw has chosen 3 of our bestof Bolton members as his chosen charities, Bolton Lads and Girls Club, Bolton Hospice and Bolton Society for Blind People, along with Fortalice. Cllr Shaw has worked with the Sensory Centre for 14 years. The new mayor of Westhoughton, Christopher Peacock, is carrying on the tradition of young mayors, as he is only 29. The previous mayor Ryan Battersby was only 21 when he became mayor last year, making him the second youngest in the UK. Cllr Peacock hopes his young age will encourage more young people to get involved with the town council. Christopher himself works as a senior case worker for Bolton South MP Yasmin Qureshi. In addition, he represents Westhoughton South and Chew more for Bolton Council, and is a cabinet member for adults. His mum and girlfriend will share the job of mayoress. Cllr Peacock has chosen Bolton Hospice as his chosen charity, because it is where his dad was cared for before he died from cancer in 2006. He hopes that his dad would be proud of his new role.